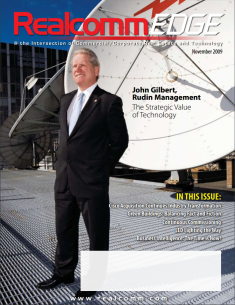 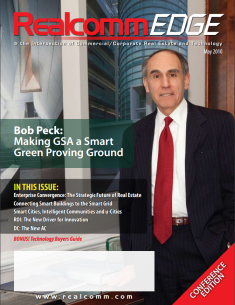 Click to read the digital version of the current issue. 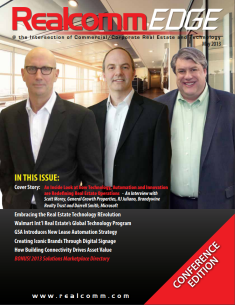 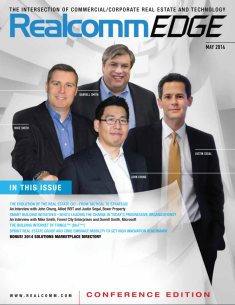 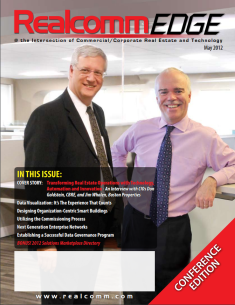 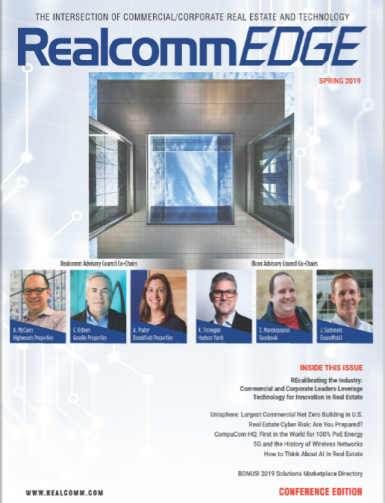 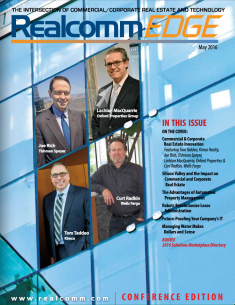 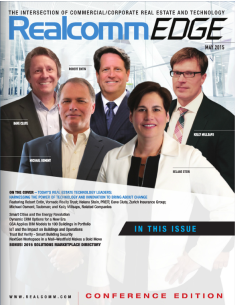 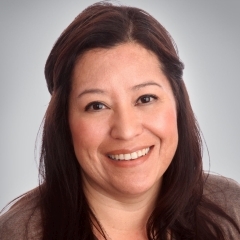 The RealcommEDGE magazine is the only publication focused exclusively on technology, automation and innovation for the Commercial and Corporate Real Estate and Facilities industry. 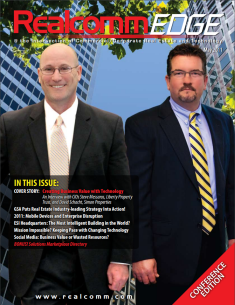 It provides readers with astute analysis and world-class case studies demonstrating the best use of technology for the industry. 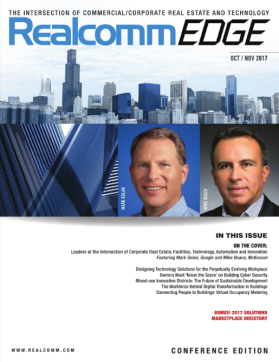 Corporate and commercial real estate comprises a large portion of the world's economy and includes every industry, from financial services to healthcare. 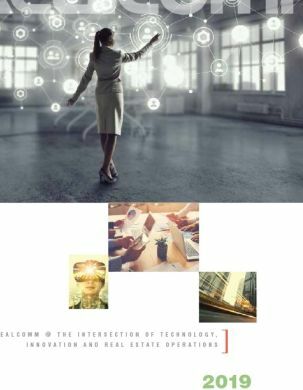 While some forward-thinking companies are in the news showcasing new technologies, for many others, their sheer size, age, and organizational complexity may make them immune to the dynamism of the marketplace. 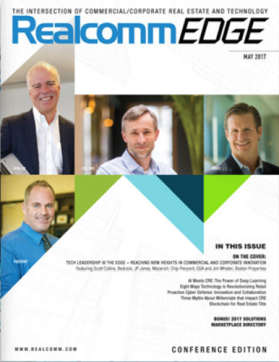 As new technology opportunities continue to develop, strong corporate leadership is required for successful digital transformation. 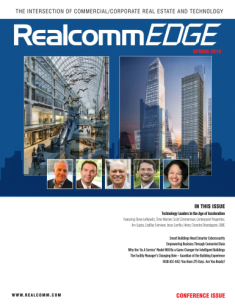 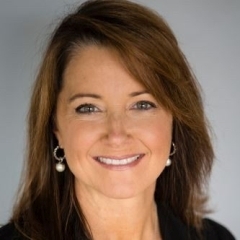 In the current issue, RealcommEDGE asked our CoRE Tech Advisory Council Co-Chairs Maureen Ehrenberg of JLL, Srini Khandavilli of Intel and Jared Summers of ExxonMobil, to share their views on what is required to navigate the impacts of technology on Corporate Real Estate and Facilities. 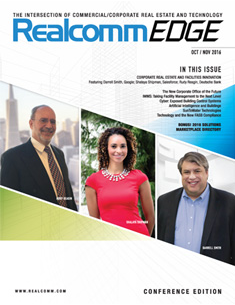 Editorial – Platforms and Models and Bots – Oh My!